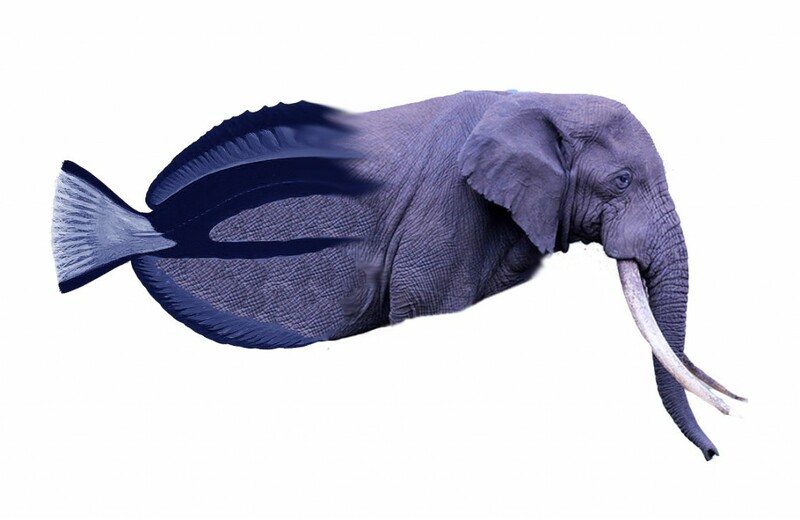 Here I mixed a Blue Tang fish with an elephant in Photoshop. I copied some of the skin texture of the elephant into the skin of the blue tang to make it look the same. This was my son’s idea to mix these to creatures together.